The thought of home foreclosure can be overwhelming. If you are in financial trouble and know that you are falling further behind on your mortgage payments, there are steps you can take to stop foreclosure. With each passing day, the compounding stress and anxiety over the thought of losing your home can take a toll on every aspect of your life. This is why it is vital that you act as quickly as possible once you know the threat of foreclosure is real. The best way to stop foreclosure and keep your home is with knowledge. It is important you know your rights and the timeline of a foreclosure. In New Hampshire, most home foreclosures are non-judicial. This means that the foreclosure can be done without taking you to court. The entire process can happen in less than 120 days. Bankruptcy Attorney Chris Kelley will take the time to listen to your current situation and provide you with all of your options so you can make an informed decision regarding your home. There may be several options for stopping a home foreclosure. Lenders may be willing to work with you if you have fallen behind on your mortgage payments. You may be able to obtain a loan modification to resolve the missed mortgage payments. A modification may also reduce your monthly payment so you can afford the mortgage payment moving forward. Filing bankruptcy is another way to either postpone or cancel the foreclosure sale. If you file a Chapter 13 bankruptcy, the sale is typically cancelled and you may be granted up to five years to pay back what you owe and keep your home in the process. Under a Chapter 7 bankruptcy, the foreclosure action is typically postponed, giving you additional time to organize yourself to move. For a homeowner, nothing may be more pressing than finding a way to stop foreclosure on a home. Our firm understands the gravity of the situation and is completely dedicated to helping you. When stopping a foreclosure and staying in your home is what matters most, don’t make the mistake of waiting too long. Let Attorney Kelley help sooner rather than later to halt your home foreclosure. 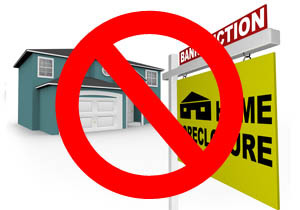 To speak directly with a foreclosure lawyer, call - 603-637-1453.